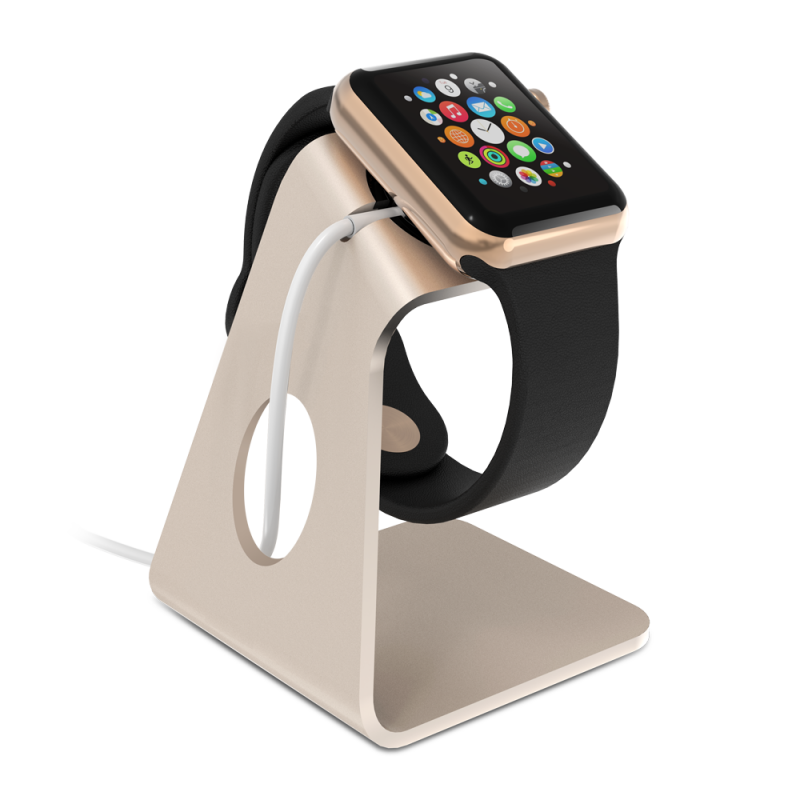 The ZVOLTZ Apple Watch Stand provides the perfect blend of elegance and practicality to your Apple Watch. Equipped with a charging holster, easily display and charge your Apple watch. A durable aluminum material design provides long-lasting usage that won’t degrade over time. The charging dock is specially designed to work for Apple Watch 38mm / 42mm Sport Edition. 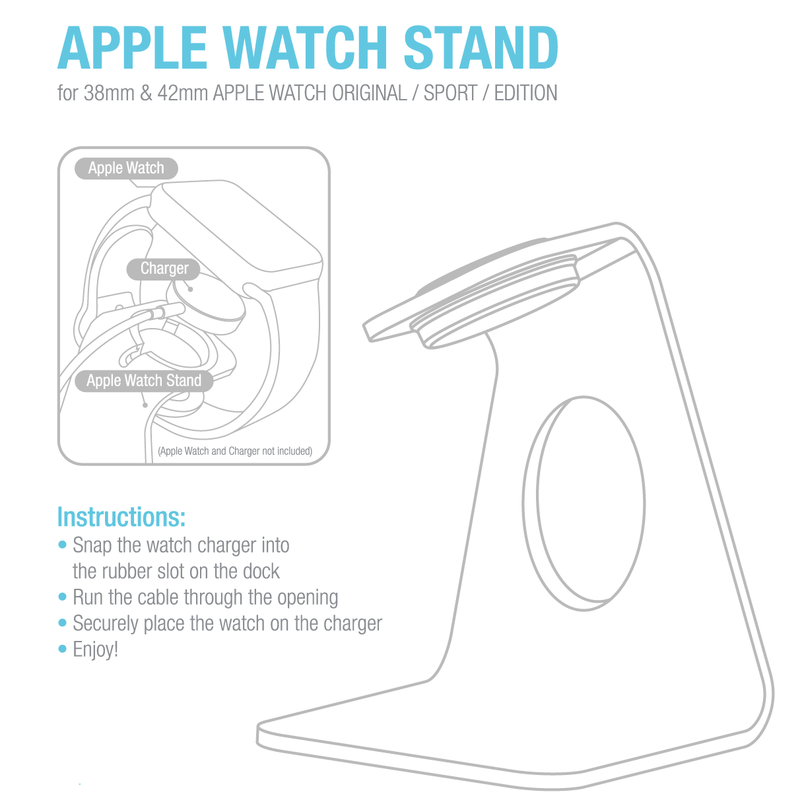 Precise cutout and design, fits your Apple Watch charger perfectly. 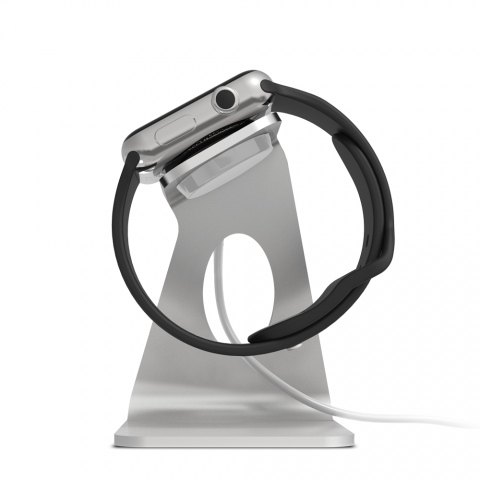 Easily store and charge your Apple Watch on this elegantly designed stand. Hide your Apple Charger within the display stand to eliminate the unsightly charging adapter from view. 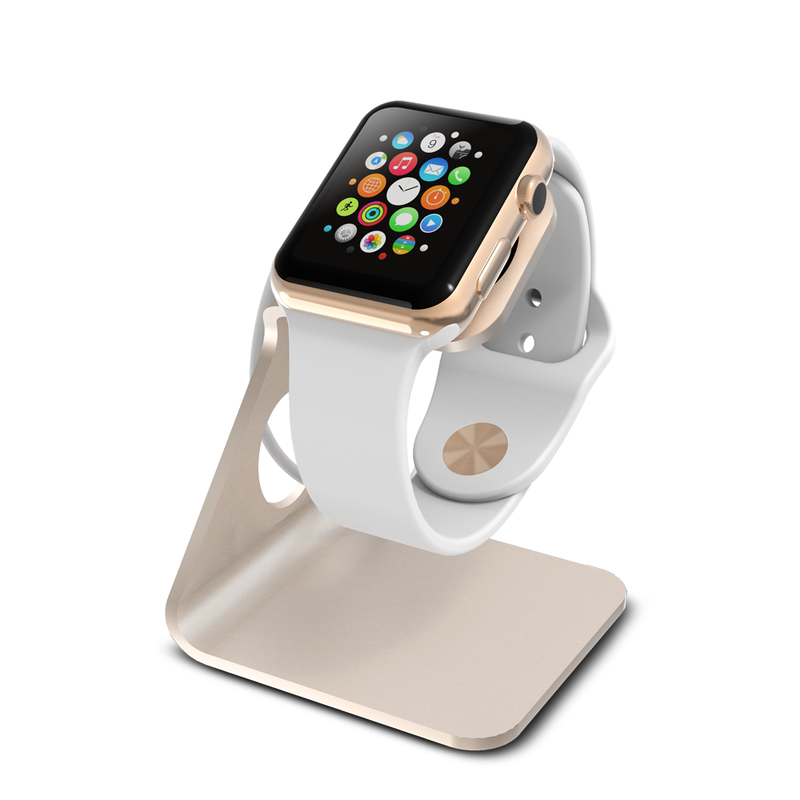 Durable aluminum build ensures a long-lasting Apple Watch experience. Durable aluminum design and reusable adhesive footing provides stability and reliability. © 2012 ZvoltzDirect. All Rights Reserved.